As a student, you are focused on your future, because you are actively pursuing your education. Why not focus on your financial future at the same time? “Just like your study habits will dictate your success at school, so will your money management habits dictate your financial success in the future. Getting a credit card now and using it wisely will teach you how to be responsible with credit and build a good credit history at the same time,” says Jeff Schwartz, executive director, Consolidated Credit Counseling Services of Canada. Before you sign up for a student credit card, make sure that you fully understand how credit cards work and do some research into features and benefits to make sure that you pick the best product for your financial goals. Before you even start with credit, understand one thing: don’t use a credit card as a way to extend your budget. If you are using credit to spend beyond your means right out of the gate, you will be setting yourself up to carry debt in the long term. “Only use your credit card for purchases that you’ve already accounted for in your budget. Don’t assume that your credit card is your “emergency spending” either; try to have some cash on hand for those costs instead,” says Schwartz. 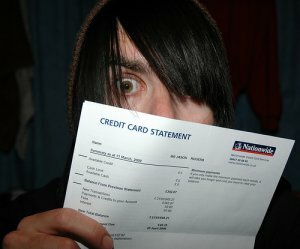 As your first task in financial literacy, read the fine print in the credit card offer. What is the interest rate for the card? How is it calculated? What is the grace period for purchases before they start to accumulate interest? Are all purchases the same (i.e. do cash advances get charged differently)? Is the interest rate introductory to entice you to sign up? If so, at what point does the offer expire and then what will you be charged? Are there annual fees? The best choice is usually a card that offers the lowest interest rate and charges low or no annual fees. Make sure that you read all the fine print to ensure that you are getting the best deal. Credit cards with rewards points, discounts or cashback are not always available to students, but if you can secure one with a low interest rate and any of these extra perks, it’s helpful to your budget. Rewards points can be cashed in usually for travel, merchandise or even groceries depending on how the rewards program works. You can use cashback or discounts to reduce costs too. Don’t fall into the habit of simply spending to earn your rewards though. If you end up carrying a balance and accumulating interest, you’ll erase the savings. Having trouble budgeting to keep your debt down as a student? We can help. Call one of our trained credit counsellors at [PHONE_NUMBER] or check out our online debt analysis.